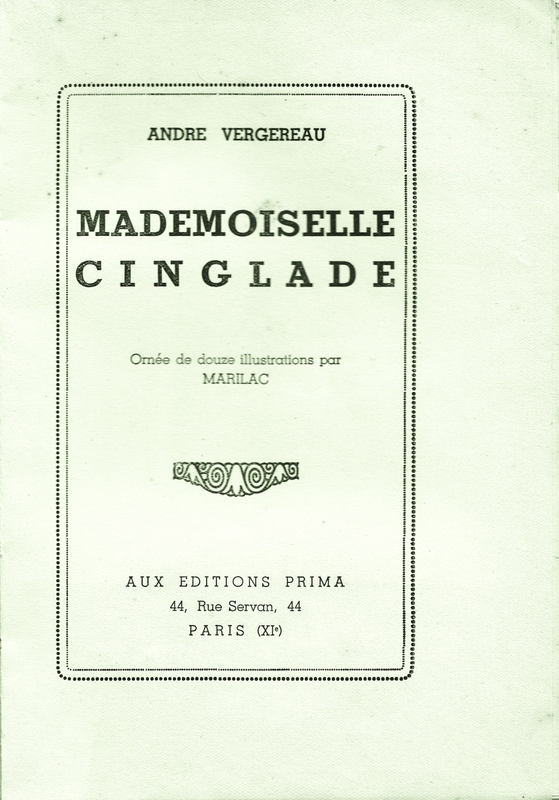 Books for Trade: Andre Vergereau, Mademoiselle Cinglade, Editions Prima n.d. (1936) illustrated by Marilac (Mario Laboccetta). January 30, 2019 / Steve M.
I must admit to having posted these illustrations before, primarily because I was interested in making comparisons between this artist, Marilac and Wighead. At the time I did not have a copy of this book and Christophe Bier was kind enough to send me a set of illustrations. Now I actually have a copy am listing the volume, This title for me represents one of the very best illustrated books in the genre, I still favour Wighead, who although remaining a mystery, provided significantly more material. Marilac despite notes elsewhere claiming him as unknown, is in fact Mario Laboccetta, a respected artist in the 20’s who appears to have had a very brief foray into the world of flagellation. 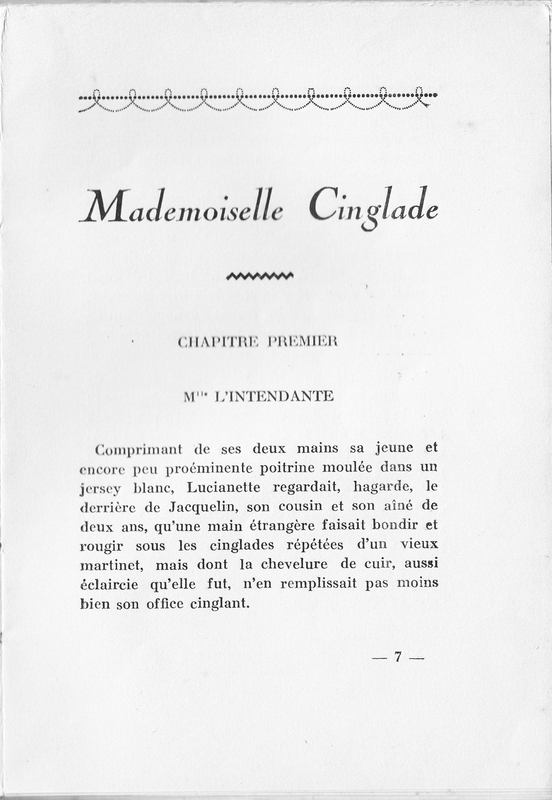 The only other title I am aware of by him in this genre is the cover of another Editions Prima title, Gaston Vicennes, L’Amour Fouetté, which I have previously listed and which is also linked at the bottom of this page. 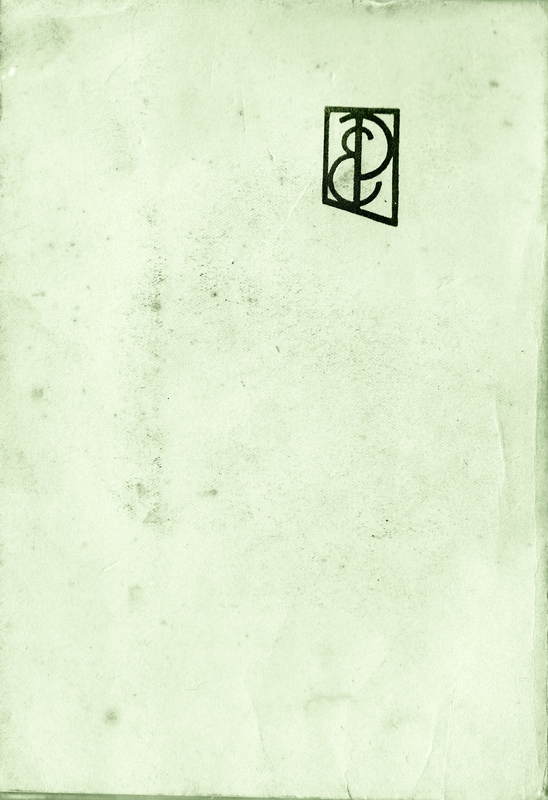 12 illustrations out of text of Marilac. 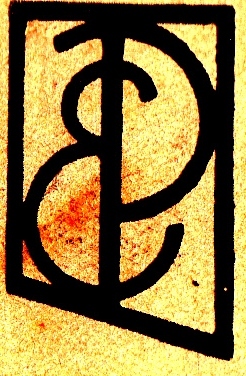 Editions Prima, 44 rue Servan, Paris. 14 x 20 cm. 252 pp. 2 ff.n.ch. 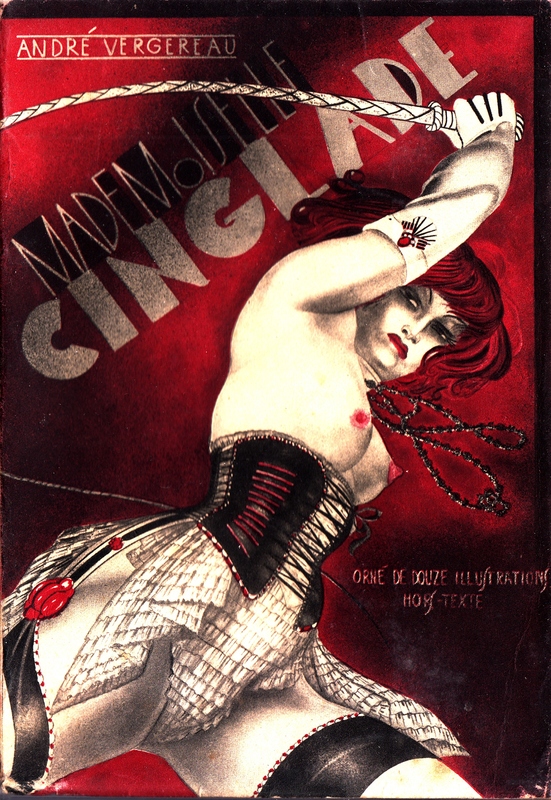 Cover with flaps illustrated by Marilac. Books For Trade: Special Edition: Editions Prima. Paris 1930’s. Flagellation (Spanking) Novels Illustrated by “Herric” and another?